Kanon's boyfriend Soma seems to only be interested in her body and his sweet torture never ends. One day, Kanon falls into the arms of a handsome stranger living next door to Soma. It turns out that he's been watching Kanon writhing in passion every night and now he wants to save her by claiming her body... Kanon will soon find herself torn between two strong-willed men and in more danger than she anticipated! "A 'craving curse' has been etched onto my body... All these naughty thoughts... I can't control them...!" Despite successfully getting into a renowned magic academy, Eme Hoshimiya's grades are plummeting. Now, she's receiving private lessons from her heartthrob of an upperclassman, Tobari Kujyou, but the mysterious curse suddenly appears in the middle of their session. All alone, the two are overtaken by desire...! The cool, studious upperclassman who never puts a toe out of line descends on her like a man possessed... How could she not be bewildered? But... her sensitive body tingles wherever his fingers and tongue go...! "So, this magic won't break until...!?" Mai, a poor university student, was chosen to be a cosmetic model by a rich celebrity, Saionji. Mai doesn't understand why she was chosen, but Saionji teases her with a kiss, saying, "You have beautiful skin." Mai feels like she's falling for him, but wonders if he's just playing with her. It's a love story of a poor girl and a rich boy. I've messed up so many times at work, I got transferred to a new department. ...It's the Adult Toy Research and Development Lab!? And the guy giving me a serious talk while holding a product is my first crush!? Now, I'm supposed to test out his latest creation...? A collection of stories, including a slippery episode at a certain hotel! I want to touch the guy I'm interested in... I want to lock up the guy I love and keep him... I want vengeance on the guy who dumped me... I want to prove that my husband is cheating on me... These are the hidden feelings and desires of any girl you may meet... They want to expose the true feelings of the guys they like and find their true love! 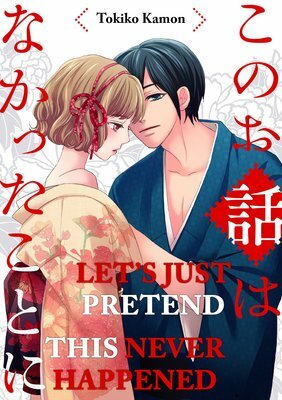 This is a manga compilation of stories where girls have funny, sad, and heart-throbbing love experiences! Mia's obsessed with finding love, and Koh's a hottie who's never gone all the way. High school classmates, the two have a physical relationship together until they find full-time partners. They practice being in love by going on dates and fooling around... More than friends, yet not quite friends with benefits. Pretend to be somebody else, show up at a date arranged by a matchmaker, and turn the guy down. That was supposed to be the end of it, until the guy in question turned out to be really interested! Nanako is just a regular girl, until her appetite for an easy $3000 has her sitting in a room across from Osuke, the well-bred heir to a very respectable family. Nanako turns Osuke down as per the plan, but he just won't take a hint...! And if he doesn't bug off soon, she can kiss her payday goodbye! She decides to do everything she can to turn him off. She'll show him just how pathetically common her life really is. But, will the plan work...? Yuzuki Madoka is an avid animal lover going to school to be a pet groomer in the future. 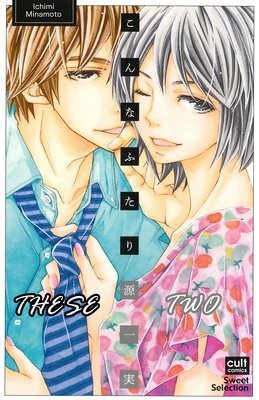 One day, a hot college student, Shiro Kuon, moves in next door. 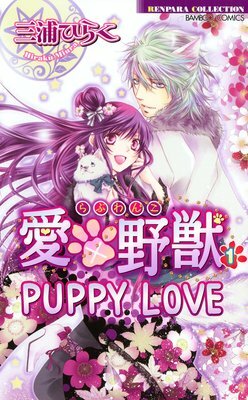 He's sweet, too, and Yuzuki gradually finds herself drawn to him... but Shiro has a secret!! We're sure you'll love the ever-popular Hiraku Miura's sweet love story full of mystery!! Rika likes to drink. She goes to this bar to find a "man with a wrist watch" who once comforted her when she got drunk. But the only man who talks to her at the bar is Masa, who's an unshaven older man... One night, Rika finds herself in a strange place after she passed out, and sees the man she was looking for kissing her and caressing her body... But when she wakes up, the man next to her was not whom she expected! Nanaka Kasumi works at her uncle's coffee shop. She can't stop thinking about Akiyoshi, a regular customer who's sensitive and quiet. One day, Akiyoshi, whose family runs a flower shop invites her to a wrestling event where he says he'll be working. Nanaka thinks it's strange that he asked her to go and watch wrestling, even if he happened to be delivering flowers to the venue, but she arrives there believing he'd invited her out on a date. The match is seething with violence as a barbaric challenger fights in the ring. Then suddenly, she's swept off her feet by him! And when he pulls of the mask, who does he turn out to be, but...! "There's a rule that when when a woman discovers the identity of a masked wrestler, she has to marry him." Is that pushy or what...!? Tomomi works in a company that's supposed to provide her with board and lodging, so when she's suddenly told to temporarily leave her apartment, she's at a loss. With nowhere to go, she accepts the offer to share a room... with Ryou, a handsome but unreadable man. In exchange for a place to live, she has to take care of the housework, but no one told her she had to become a host as well! On top of that, there's another secret condition she must fulfill... and it involves getting very, very close with Ryou! The Wolf of the Office! Mayu's drowning her sorrows after discovering that her boyfriend's been cheating, but when she wakes up the next morning, she realizes she's inadvertently taken a new guy home with her! Even worse, he's one of her junior colleagues at work...! He seemed like such an innocent guy, but now he's pulling out all the stops. "Guess I better get to work at capturing your heart! Can't wait until you're all filled up with me." He pushes, she's charmed, and it seems like she might end up falling for him! Plus, enjoy three more hot tales of twins at a maid cafe and a skiing trip that snowballs into something more! After being proposed to, Mio was on cloud nine. Her life as a newlywed was just about to begin... That is, until her soon-to-be husband leaves her for another woman and she falls into the depths of despair. That's when Eita shows up, a friend from her school days who also just happens to be her fiance's younger brother! He tells Mio he's there for her, then pushes her down onto the bed... Eita teases her with his fingers and tongue, sweetly whispering into her ear, asking if she wants him to stop. It tingles... Her heart won't stop racing! 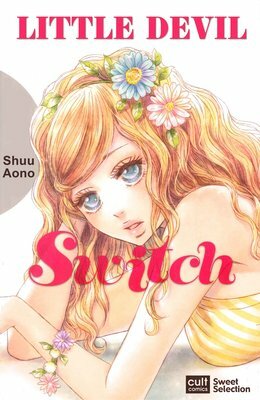 The newly qualified and vulnerable Miss Ichika arrives at an all-boys high school and becomes involved in a physical relationship with Takatsuki, the student council president. The truth is that Takatsuki secretly admires her, although he refuses to let his feelings show. While it seems to be a game, there is also a desire for love between the two. However, it's still a forbidden student/teacher relationship. In the empty classroom after school, in the nurse's room during class, and at his house... An affair which no one can know about is just beginning. "There's no way she's a virgin, right?" Kazumi is a 28-year-old career woman. She's single and a virgin, wears her hair casually pulled back just to have it out of the way, and is very self-conscious of her tomboy personality. But, for some reason, a handsome up-and-coming star at a client firm asks her out to dinner! Realizing it might be her one and only chance to change who she is, Kazumi accepts the invitation... only to find out that the place her date had in mind to "relax after dinner" is a hotel room!! She's uncomfortable with her body, yet he passionately pursues. His lips and fingers press. She falters, wondering if this is really love. He whispers in her ear, gentle yet cold, "You see now? You don't need love to do things like this." A new romance story begins, full of all sorts of first times, misunderstandings, and near-misses! !